Today (Wednesday 10 October 2013) is World Mental Health Day and so I am re-running my feature on mental health/mental illness. I have been involved with Rethink's Can You Tell? project since April 2013. Can You Tell? is a photo exhibition challenging stigma and discrimination around mental health issues funded by Time to Change. I am on the Steering Group for the project and I have now volunteered at three Can You Tell? events so far - the Lambeth Country Show, Brighton Pride and Chelmsford. 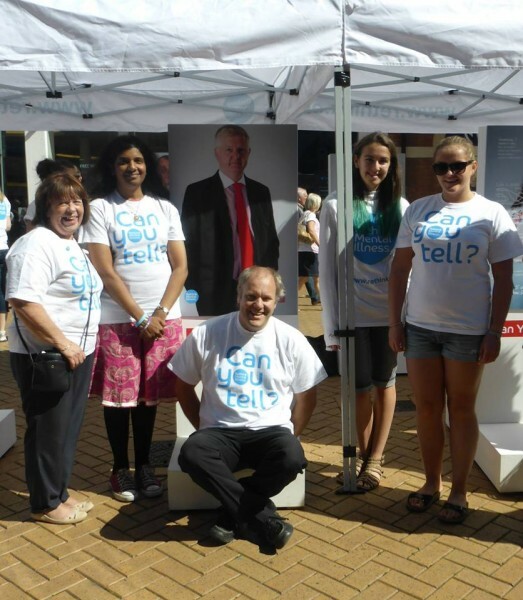 This year we are challenging ideas and assumptions about mental illness with a new photo exhibition at community events in four regions of England - London, South East, East Midlands and the East. Five images will show large portraits of people from all walks of life with different experiences of mental illness. We want to show visitors that mental illness can affect everyone, but that people do recover and get on with life. 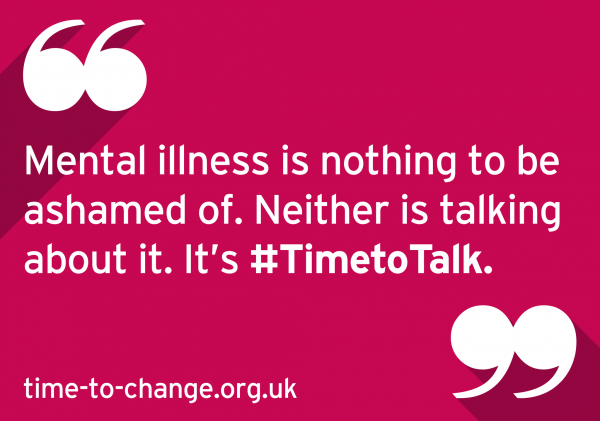 We believe that talking about mental illness will help reduce the stigma attached to it. Volunteers will engage with visitors of this photography exhibition and share their own experience of mental illness with them face to face. The exhibition will be visiting Oxford, London, Brighton, Colchester, Leicester, Chelmsford, Kent, and Norwich. I got involved with the Can You Tell? project as I was invited to be on the Steering Group because of my past work as a service user who is happy to share her experience of mental health issues and services as a way of improving understanding and making services better. I think it is important to challenge mental health stigma and discrimination so that those affected by mental health issues, either personally or as a carer, relative or friend, know that they are not alone; that there are others out there facing the same issues; and that there is help, support, information and advice that they can access to help them to recover. I have always been very open about my mental health issue and my experiences, and have always been happy to share my experiences with my friends, family and work colleagues. When I started being more open and talking about mental health issues, I found that others were very forthcoming and would share their experiences, or those of their friends and family. Everyone knows someone who has been affected by a mental health issue. Talking about mental health issues is good because it helps people realize how many others are affected and that there are places to go for help, support, information and advice. I have been a volunteer at three Can You Tell? events so far - the Lambeth Country Show, Brighton Pride and Chelmsford. Working with the Rethink team and the other volunteers at these events has made me much more confident about speaking out about mental health issues. People's response to the exhibition and to us at both events has been very positive. People have been very keen to talk to us, to listen to our stories, and to share their own experiences with us. They have been pleased to see that there are people talking about these issues openly, and are especially keen to learn where they can go to access further help, support, information and advice. I believe the project is making a real difference because by sharing our stories and our experiences, other people facing the same difficulties know that they are not alone; others are going through similar problems; and they can be directed to further sources of help, support, information and advice that they can access. It also shows that people with mental health issues can get better and recover, and can return to being full and active members of society, able to contribute and to hold down good jobs. I would like to continue being a champion for mental health issues, and the project has given me the confidence and the know-how to speak about mental health to a much wider audience. I am now equipped and empowered to speak to anyone I choose about mental health issues and I have the confidence to do so. My involvement with the Can You Tell? project, both as a Steering Group member and as a volunteer, has made me see and realize the benefits first hand of being open, and speaking about, mental health issues. Its Time to Talk. Its Time to Change.